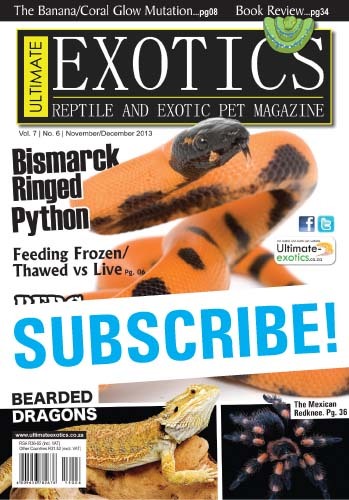 Sign up now to the FREE digital Ultimate Exotics Reptile Magazine! SKU: 203 Categories: South Africa, SUBSCRIBE NOW!! SIGN UP NOW TO RECEIVE THE ULTIMATE EXOTICS REPTILE MAGAZINE VIA EMAIL!